The 2017 Sondheim Finalists are Mequitta Ahuja, Mary Anne Arntzen, Cindy Cheng, Sara Dittrich, Benjamin Kelley, Kyle Tata, and Amy Yee. The museum exhibition of Sondheim Finalists will be hosted at The Walters from June 17 – August 13, 2017 with free admission for all visitors. Besides the Saturday, July 15, award ceremony and reception, the museum is planning to host a series of artist talks with the finalists that will be open to the public. Additionally, BmoreArt and Area 405 will curate an Artscape Gallery Network exhibition to recognize the past 70 Sondheim Finalists with a reception on June 30th. The BCCC Refugee Youth Project is looking for a dynamic community artist to join our team as a full-time Community Art Collaborative AmeriCorps member to work from October 2016- August 2017! The RYP works with more than 300 newly arrived youth, from more than 17 different countries, who been resettled in the Baltimore area. Annmarie Sculpture Garden and Arts Center is calling for entries for its Kindred Exhibit opening from August 11, 2017 to January 28, 2018. This exhibit invites artists to celebrate the stories, people, and places that define them. The jury invites artists to celebrate how we are defined by the past, and the lives of those who have come before us. All media welcome; small to large-scale installations; new media encouraged; indoor and outdoor works accepted; cash awards to be presented. Touchstone Gallery in Washington DC is seeking entries for “ART OF ENGAGEMENT,” a National Juried Show scheduled for August 4 – 24, 2017. 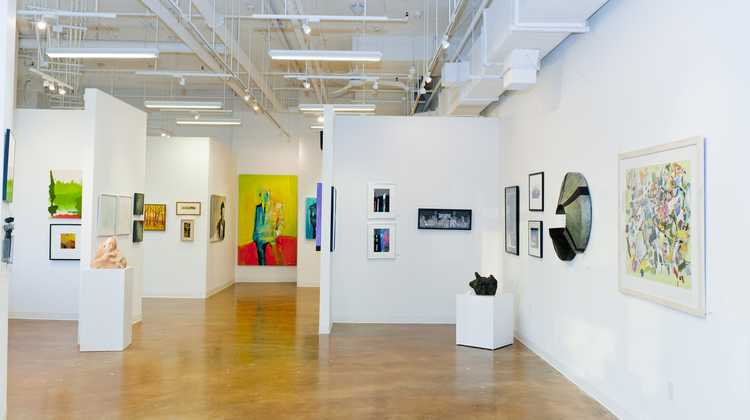 Touchstone Gallery is an artist-owned gallery located in Washington, DC, close to major national and private galleries. Since its founding in 1976, Touchstone has maintained a reputation for exhibiting contemporary work of high quality and innovation. Artwork entries should reflect present-day issues and concerns. Be part of a national conversation about important issues using the universal language of art. Be bold, stand up, and speak out! Be an artist and an activist. Juror: Jack Rasmussen, Director and Curator, American University Museum, Katzen Arts Center. Open to all artists living and/or working in the United States, 18-years-old and older. All original visual media that is the artist’s own concept, design and work. Entry fees: $50 for up to 3 entries/images; artists may submit up to 3 additional entries/images at a cost of $10 per additional entry. Deadline to apply: June 12, 2017. Apply here. Any questions please contact Ksenia Grishkova, Director, Touchstone Gallery: info@touchstonegallery.com or call 202-347-278. MFA (Maryland Federation of Art) invites all artists to enter its 3-D free-standing Off the Wall exhibition open to artists residing in the United States, Puerto Rico, Canada and Mexico. All eligible fine art entries in any media will be considered by the juror. Selected works will display in this MFA organized exhibition at Waverly Street Gallery in Bethesda, Maryland from July 11 to August 5, 2017.